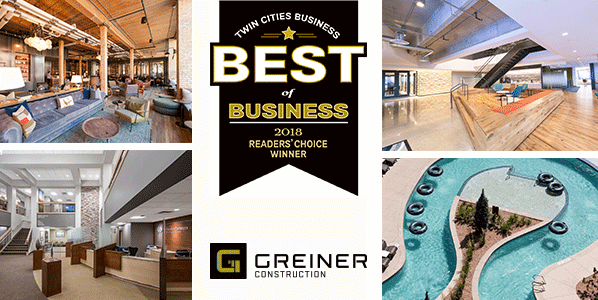 Thank you to the readers of Twin Cities Business Magazine for recognizing Greiner as the Best in Business for construction/development! It is an honor to be recognized among this list of talented expertise. We are excited to see many of Greiner’s projects, partners, and clients were featured as Best of Business 2018 award recipients. Congratulations to all!